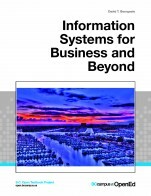 Author: David T. Bourgeois, Ph.D.
Information Systems for Business and Beyond introduces the concept of information systems, their use in business, and the larger impact they are having on our world. Information Systems for Business and Beyond by David T. Bourgeois, Ph.D. is licensed under a Creative Commons Attribution 4.0 International License, except where otherwise noted. The textbook covers most of the material on Information Systems one would need to absorb in an introductory business course. Some coverage, for example on the binary system (in Chapter 2) or on normalization (in Chapter 4) are superficial and incomplete for this type of course level. They would need more expansion. This does not undermine the textbook's content; however, it reduces its value as a first-year university course. Most of the definitions are appropriate. Formality is acceptable at this introductory level. Practice questions are adequate. I would suggest more details in the solutions – instead of simply stating the answer. From time to time (maybe for every third exercise) provide a detailed answer with relevant online references. I did not find errors. However, if the textbook is to be used in Canada, it lacks Canadian content – using mostly material more appropriate for the U.S. audience (e.g. Intellectual Property or Privacy – Chapter 12). The content is slightly biased towards the U.S. business environment rather than presenting a more global business perspective. Canadian content is missing. Because technology is a fast developing topic, keeping the content up-to-date would require regular reviews and updates (e.g. URLs, software and hardware references, and networking). However, those updates would be easy to implement when required. The writing style is conversational, simple, and accessible. Passive voice is prevalent unfortunately. Use of technical jargon is a requirement – however, it is not overwhelming. Note: I have extensive experience on this subject having written books on similar topics and find the writing style appropriate - except for the grammar errors described later on. The text’s consistency is acceptable. It may lack the rigour expected for a purely computer science course audiences. In this context, terminology usage is adequate. For example, I would have preferred more emphasis on Knowledge Management and Artificial Intelligence use in business. Q: The text is easily and readily divisible into smaller reading sections that can be assigned at different points within the course (i.e., enormous blocks of text without subheadings should be avoided). The text should not be overly self-referential, and should be easily reorganized and realigned with various subunits of a course without presenting much disruption to the reader. The text is not self-referential and the chapters can be easily reorganized up to a point. Some chapters contain prerequisite material before starting other ones (hardware, software, networking - for example). The book is subdivided in three sections, each with 3 to 5 chapters subdivided into sections, and containing study questions, and exercises. Sections are clearly indicated. Captions are present. Every chapter has a brief summary. The text contains a reasonable number of study questions at the end of each chapter. Study questions have proposed answers at the end of the book. Suggested exercises do not have proposed solutions. This is one weakness of this textbook. Case studies are missing – an essential feature of business courses. The flow is straightforward with topics following in a logical way, building on previous content. The content is presented in short chapters with relevant references to outside sources – websites, articles, and videos. The links (URLs) are "clickable." The relation between the table of content and the text is consistent allowing for easy navigation between the topics. This includes direct access to relevant content for those who would like to jump to specific topics. An annoying formatting inconsistency was present in my pdf copy – font size was variable (bigger or smaller fonts) in various places of the text. This could be corrected with proper format editing. Figures and tables are clear, legible, and with relevant captions. Figures, tables and subsections are not numbered - a slight weakness. I did not find spelling errors. However, unfortunately, grammar errors abound - mostly substituting plural for singular “their” instead of “his or her”, including some faulty expressions (different alternatives - ? – what else), invalid use of “being” and so on. Too many to list here. Careful editing would take care of these errors. Punctuations are correct and consistent. The use of passive voice is omnipresent. The text is somewhat culturally insensitive (focused on the United States business environment rather than global) but not offensive in any way. Cultural relevance applies here – especially in Chapter 12 on Ethical and Legal Implications. Canadian content is missing. 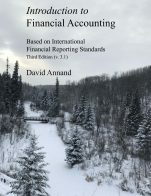 Q: Are there any other comments you would like to make about this book, for example, its appropriateness in a Canadian context or specific updates you think need to be made? 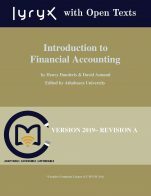 This textbook is a good introduction to Information Systems for students entering first year business undergraduate studies, especially if their exposure to computer science is limited (for example, those with literature or arts background). Its content is suitable for a face-to-face delivery method in a classroom, and with some modification, to online delivery too. Furthermore, it could also apply to advanced secondary school students, or college students. The writing style is conversational. The material well structured. Unfortunately it lacks online teaching tools for a more suitable online delivery method. 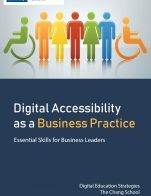 It requires a set of classroom and online delivery tools – like PowerPoints for each chapter, take home exercises, online tests, and case studies or quizzes. Adding these kinds of teaching tools would greatly enhance the value of the book’s content and delivery capability. The existing end-of chapter questions are useful. The suggested answers at the end of the book quite appropriate. It might be advisable to include some Canadian content when using business or legal examples and to apply a more “Canadian” style rather than a U.S. one. However, in my experience, Canadian students are used to U.S. writing styles (sic). My concern is more for foreign students (India, China) who might be interested in taking online courses from B.C. institutions. In this case, including also a Canadian content might be more appropriate. 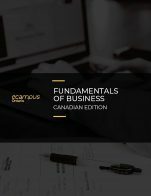 I would still recommend this textbook for an introductory course in business for an advanced high-school class, college or first-year university level.